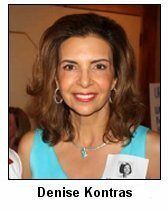 Prior to the 2004 35-year reunion, Denise Kontras developed a generous and thoughtful concept, The Friendship Fund, to enable some of our classmates who have severe health challenges due to strokes, multiple sclerosis, and other debilitating illnesses to attend the reunion activities at no charge to them. The Friendship Fund was created to benefit our classmates who may need financial assistance to attend a class reunion. Some of our classmates have experienced significant health challenges such as strokes, cancer and other debilitating illnesses. In the past, the Friendship Fund has paid for travel expenses, hotel accommodations, and admission to the reunion activities for classmates with serious health concerns. Thanks to the generosity of the Friendship Fund donors from the 2014 reunion, we have a surplus and we will not be asking for donations to the fund at this time. I do need your help identifying classmates with serious health concerns or those who may need financial assistance to attend the reunion activities. Please complete the form below either to apply for assistance for yourself or for someone else. Please note that the deadline for submissions is May 15, 2019. IMPORTANT: All requests will be kept strictly confidential. Thank you! IMPORTANT: Please make sure that when you complete the form, you see a green checkmark saying that the form was successfully completed. Then you will also receive an email, confirming that your nomination was delivered successfully. Randy Turner lived with serious medical issues most of his life, starting when we was 11 years old, when he developed Type I diabetes. At that time, doctors told his parents that Randy would probably not live past 30 years of age. His sister and fulltime caregiver, Sue Ward, said that Randy began giving himself insulin in 6th grade, using a glass syringe and a needle that had to be sterilized. He has had this condition for more than 50 years. Clearly, he showed those doctors! Randy participated in many school activities and few even knew that he was doing it all with the added responsibility of multiple daily insulin injections. He was active in Choir, Ensemble, and Glee Club, and performed in the talent shows and musicals. Randy graduated from The Ohio State University in 1973, having completed a five-year course of study in interior design in four years. He then enjoyed a position in that field with Ci Bon, a design firm in Bexley, for several years. He loved his work. In the late 1990's, Randy began having difficulty with balance and walking, and began to fall quite often. Other symptoms began to develop that led him to a neurologist. Through extensive testing, doctors determined that Randy had developed cerebellar degeneration, a disease in which the neurons of the cerebellum - the area of the brain that controls coordination and balance - deteriorate and die. It is progressive, incurable, and is not yet understood very well. It has affected his brain stem as well, causing him more impairment with time. Randy's disease progressed significantly, and by 2014, he was dependent on his wheelchair. Randy explained the devastation of cerebellar degeneration, and said that his goal was to live long enough to attend our 50-year reunion in 2019, but that he wasn't sure he would be able; he had already exceeded the life span predicted by his doctors. When we asked Randy if he would like to come to the 45-year reunion instead of waiting five years, he was thrilled. We explained that the Friendship Fund would make it possible for both Randy and his sister to come to Columbus from Florida, attend whatever functions he wished, and that the Fund would take care of all related expenses: accommodations, admission to the events, a hat, t-shirt, and Time Capsule DVD. Randy enthusiastically accepted, adding that he hoped he would feel well enough. Randy and Sue traveled to Columbus from their home in Florida, thanks to the Frendship Fund, and they stayed in a handicap-accessible room at The Homewood Suites on lane Avenue. He attended almost all our reunion events, and classmates assisted him by moving his wheelchair onto the class float. Riding in the parade was a highlight of Randy's reunion experience. Randy and Sue wanted to share his story so that you will understand why this gesture meant so much to him. Randy said that he was extremely grateful and humbled, and the experience gave him something great and exciting to look forward to.Randy's sister, Sue, was able to witness the true generosity and warmth of the Class of 1969 in action as we welcomed Randy and her to our 45-year reunion. On behalf of Randy Turner and his sister, Sue Ward, THANK YOU to all the UA69ers who made this reunion experience possible for Randy. Randy passed away on October 23, 2016, at the age of 65. You can read Randy Turner's obituary here. See who donated to the Friendship Fund in 2014. Thank you to our classmates who have made generous contributions to the Friendship Fund in 2004 and in 2009; because of you, we have been able to help our friends! See who donated to the Friendship Fund in 2009. In 2004, we were able to help Ed King, Alice Louise McCain, and Pam Allerding with the cost of the reunion parties and transportation, and all three of these classmates had a wonderful time. See their notes below. Sadly, since our 2004 reunion, all three of these UA69 friends have passed away. See who donated to the Friendship Fund in 2004. I can't begin to say how much the gift from the Class of 1969 means to me. I am deeply touched! I was more than surpprised to say the least when I opened the envelope. I was even speechless. Is that possible? The gift will be used to pay for the heating of my condo. Just the thought of this kindness really warms my heart. It will make for a warm winter filled with joy. Again, Thank you to my Class of 1969, the Reunion Committee, and my friends. Here's hoping you had a very nice holiday. Thank you very much for the check. I'm not quite sure why you sent it, but thank you very much. I thought the reunion last July was the best one I've been to. I saw 75 people or more I had known and talked to many of them. The committee did a great job. Who ever thought Bev D'Angelo would make it? I want to thank you for your thoughtfulness and sharing your care to me. May you all have peace and much happiness this new year.